Coquitlam Search and Rescue makes extensive use of social media. Social media promotes our public safety mandate in several ways. First, it allows the team to educate the public on how Search and Rescue works, and how we fit into your community. Second, we use social media to deliver specific public safety messages regarding hazardous conditions people may encounter in the local wilderness within our search area. Finally, we use it to notify the public and the media about our search operations, and to release information about a search in conjunction with our police liaison. 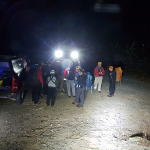 Coquitlam SAR is committed to maintain the highest level of professional conduct with regard to the use of social media, and has been a pioneer in the development of a social media policy for the team as a whole. Based on our Search and Rescue training, we applied the ethical concepts taught to us on how to handle the details of a search to the area of social media. We also reviewed the social media policies of other professional public safety organizations, and added a good deal of common sense. Our team has shared our social media policy with the BC Search and Rescue community, and welcomes feedback on its application. Our use of social media is primarily for public safety, emergency response, and informational purposes. Individual SAR members will not release information through social media about an ongoing search without explicit permission of the SAR Management team. Information about an ongoing search is a police investigation, and bypassing the command staff is an inexcusable breach of this policy. 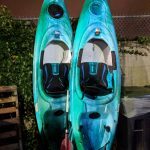 Video and images of SAR members in identifiable team issued equipment with the team logo will represent the team in manner consistent with a professional and competent organization, cognisant of our reputation in the community. Personal identifying information about the people we search for and rescue is never released without a clear and pressing public safety mandate, and then only in consultation with the tasking agency (Police, Fire, Ambulance or Coroner’s service). Information is only released through the incident command staff. We respect the property and the privacy of our fellow citizens and our fellow emergency responders, and we adhere to BC’s confidentiality and privacy laws. Whenever possible, when sharing links and information we always redirect to authoritative, credible and accurate public information. All of the above policies apply to our members regardless of where in the province they are responding. SAR Members are allowed to write and post text, video and images about their personal experiences on a search as long as these principles are upheld. 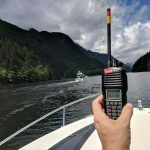 Photos of individuals acting in their SAR roles, video of training events, and blogging about rescues performed in the past is permissible as long as they do not identify subjects, adhere to the ethical standards set by the team, and are not in violation of BC laws concerning privacy. 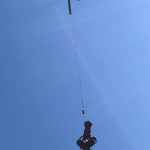 For a copy of Coquitlam SAR’s Social media policy, click here.